Today it is exactly 60 years ago (April 25, 1953) J.D. 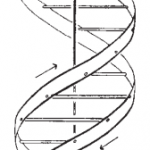 Watson and F.H.C Crick published their famous DNA structure paper in Nature. 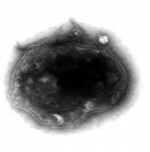 You can read the original article at Nature website here for free. In 1962 James Watson, Francis Crick and Maurice Wilkins were awarded the Nobel Prize in Physiology or Medicine for their discovery. 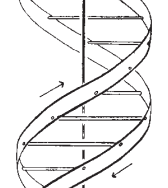 As of 2003 the 25th of April is celebrated as DNA day. How do proteins behave if they are being stretched on a nanoscale torture rack? 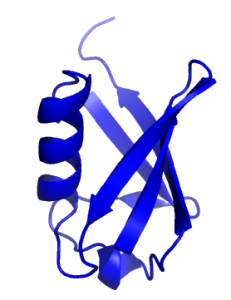 Fig1: The Ubiquitin protein in cartoon representation used in the study (PDB: 1UBQ ). Well this nanoscale torture rack is actually a sophisticated atomic force microscope (AFM) and the stretch is more ‘gentle’ then in the Medieval period, since it is (most of the time) reversible. The question arises; how can we describe these kind of extensions and can we, just as in basic material science, come up with an basic relationship between stress and strain?